"Mine," I hear his mesmerizing voice growl before I&apos;m suddenly being pressed against a warm body. One muscular arm is wrapped around my waist, bringing my front flush against the man&apos;s chest. His other hand cups my cheek softly, forcing me to meet his intense gaze. One part of my brain is urging me to punch this guy in the face and get away from all of these crazy people, while the other is completely content with staying in his arms forever. I stare into his icy blue gaze for God knows how long, until I hear someone clear his throat. The man holding me lets out a noise that reeks of annoyance. He turns both himself and I around to face Asher, Nathaniel and Isabelle. One of his arms remains around my waist, keeping me pressed securely to his muscular side. 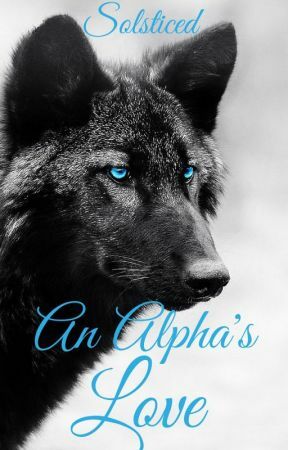 "Alpha," Nathaniel speaks in a very serious tone, "This is Ember." I&apos;m about to yell at him for getting my name wrong again, but Asher cuts in first. "Her name is Brynlee." I start to regret telling him my full name, rather than my nickname. "Um... everyone calls me Brynn," I say quietly. Asher gives me a small smile and I feel the strong arm around me tighten slightly. Nathaniel speaks up again, looking away from me and back to the man he calls &apos;Alpha&apos;. "Do we tell her?" "No," the man next to me says without hesitation. "I said no!" he growls, pulling me closer to him, if that is even possible. I shiver at the tone of his voice, trying to pull myself out of his grasp. But, it&apos;s no use; he&apos;s way too strong. The man&apos;s voice softens when he speaks next. "Not until she is ready." "Ready?" I ask, looking up at the man. "Ready for what?" His beautiful blue eyes lock with mine and I see the corners of his lips turn up ever so slightly. "When you are ready to understand, and ready to accept me," he responds cryptically. I sigh, frustrated that I am getting absolutely no answers, only more questions. I don&apos;t even bother asking him what he means. The man in front of me doesn&apos;t break eye contact with me as he says, "Leave. I want some time alone with my mate." I look up at him with wide eyes, surprised with just how much power is in his voice. I try to shake his arms off, but he doesn&apos;t budge. "You just asked me to leave and now you won&apos;t let me go?!" I snap, annoyed. The man lets out a deep chuckle that sends a shiver down my spine. "I was talking to them, princess," he says. My heart flutters at the endearment and blood rushes to my cheeks. In the back of my mind, I know I need to get away from him, not blush at his every word. But I just can&apos;t help but react like that when he&apos;s around me. Nathaniel breaks me out of my trance. "I am not leaving you alone with my daughter!" he practically growls. The guy holding me&apos;s eyes darken significantly and he whips his head to glare at Nathaniel. My eyes widen at his declaration. "You&apos;re all insane," I say, once again trying, and failing, to get out of the man&apos;s arms. A loud growl stops me dead in my tracks, fear pulsing through my body. "She is my mate, and I am your Alpha!" His voice just reeks of power, much more so than even before. Nathaniel, Isabelle and Asher all look down immediately, tilting their heads slightly in order to expose the right sides of their necks. My eyes furrow in confusion at their actions.